Dr. Mychalczak accepts the following list of insurance providers. Select your insurance provider to see more details. I am a radiation oncologist who cares for people with a variety of cancers at Memorial Sloan Kettering Westchester and Memorial Sloan Kettering Bergen. I am particularly focused on prostate cancer, breast cancer, and gynecologic cancers. I am an expert in the most sophisticated forms of radiation therapy, including stereotactic body radiosurgery, brachytherapy, intensity-modulated radiation therapy, and image-guided radiation therapy. I see approximately 350 new patients each year. Growing up, I loved watching the popular medical drama Marcus Welby, M.D., and thought I would be a general internist just like Dr. Welby was. But when my grandmother was diagnosed with cancer, I decided to go into oncology. In medical school I attended a lecture on radiation oncology that inspired me to narrow my focus. Through radiation oncology, I realized, I could combine my interests in mathematics, physics, and cancer care. I have been with MSK for more than 30 years. 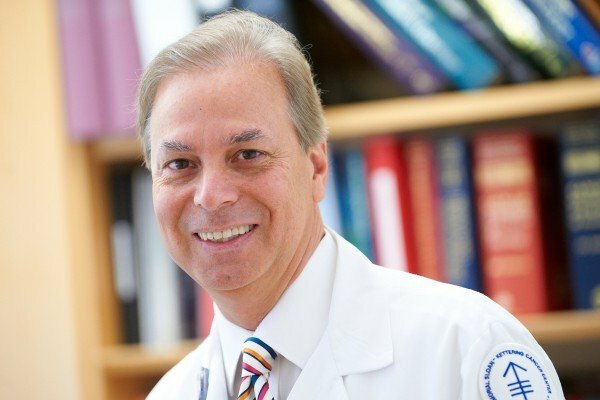 As Chief of Radiation Oncology at MSK Westchester and MSK Bergen, I work hard to integrate the latest and most advanced forms of therapy into our practice. I’m passionate about providing our patients with the most cutting-edge therapies and treatments, closer to home. Together with our exceptional medical physicists and support staff, we collaborate closely with our colleagues across all MSK facilities to ensure that everyone we treat receives the best possible care. I am a member of the prostate cancer research team in the Department of Radiation Oncology and participate in various clinical trials at MSK and nationally. I have also served on many committees, including the Oral Board Examination Committee of the American Board of Radiology. When I first meet patients, I strive to learn what they already know or may have heard about their diagnosis and radiation therapy. I aim to clear up any misconceptions and deliver a clear explanation of their issue and how we’re going to work to resolve it. I know my patients receive an extraordinary amount of information about their condition that can be overwhelming at times, so I encourage them to take treatment one day at a time. When I’m not working, I love being a dad to my 6-year-old son and 11-year-old daughter. I also love gardening and reading and am particularly interested in financial nonfiction. I know my patients receive an extraordinary amount of information about their condition that can be overwhelming at times, so I encourage them to take treatment one day at a time. Visit PubMed for a full listing of Dr. Mychalczak’s journal articles. Pubmed is an online index of research papers and other articles from the US National Library of Medicine and the National Institutes of Health.